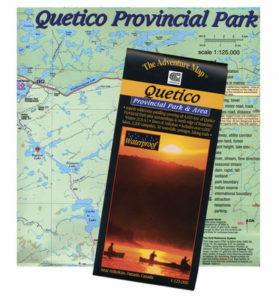 These Quetico canoe trips include campsite recommendations, travel times and distances. These canoe trips are a great way to explore and to get to know the Quetico wilderness. Feel free to contact us at with any questions and ideas you may have for your next Quetico canoe trip. Our Quetico canoe trips are based on a moderate paddling speed of about 5 kilometers / hour or (~3 Miles / hour). Given 3-5 hours of travel with breaks, and portages,16 km (~10 miles) is a very reasonable distance for a day on the water. This pace can be maintained over a long trip and will allow for reasonable wind and foul weather. Experienced paddlers, who pack light, and are able to do single or double portages can very easily double the above distances. Adding extra days is always a good idea.